Continuing the joyless hellfire that is 2018, now not even our Ritz crackers are (totally) safe. 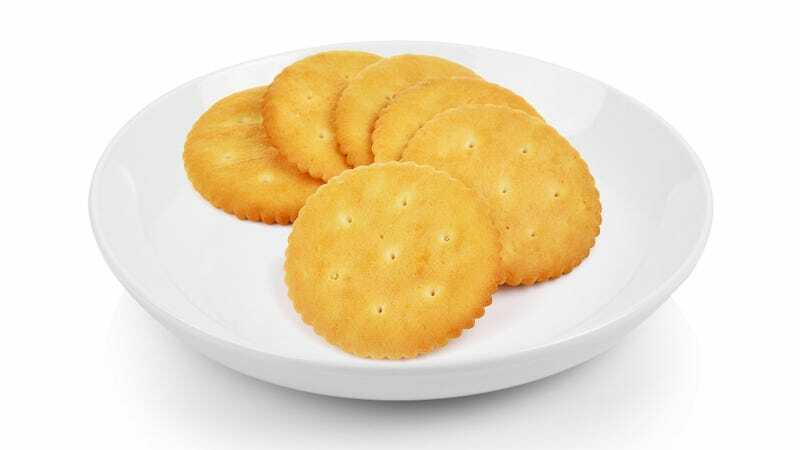 Ritz parent company Mondelēz Global LLC has announced a voluntary recall for a number of Ritz products, primarily beloved sandwich items like Ritz Bits Cheese and Ritz Cracker Sandwiches With Cheese in a number of flavors. Peanut butter sandwiches, at least from the list on the press release, do not appear to be affected. Says said press release, “These products contain whey powder as an ingredient, which the whey powder supplier has recalled due to the potential presence of Salmonella.” Only a potential presence, though, as NBC notes, “Mondelēz hasn’t received any reports of people falling ill after eating these products, but consumers who have purchased them should throw them out.” That’s just great. Fine. What next, 2018? Gonna set the Ben & Jerry’s factory in Vermont on fire?